Since the 1964 release of Mary Poppins with Julie Andrews as the magical nanny, we have been singing along and enjoying every minute. Now, with the release of Mary Poppins Returns, the nanny is back and hasn’t aged a year, but does the magic still exist? Mary Poppins (Emily Blunt) finds it necessary to come back into the lives of Michael Banks (Ben Whishaw) and his sister Jane (Emily Mortimer). Michael has recently lost his wife and is about to lose the house he lives in with his children. 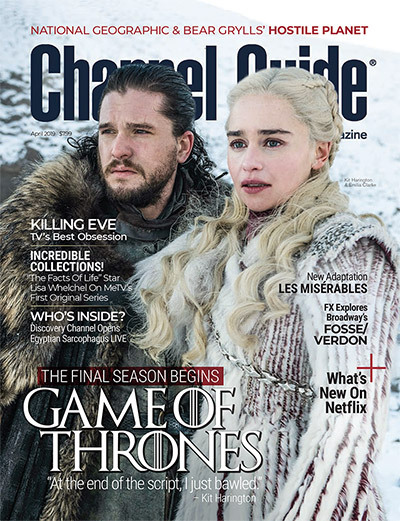 As he struggles to find an important document with the help of his sister, that magical nanny from their past re-emerges. Poppins hasn’t lost a step. Michael is more than eager to turn his children over to his former nanny so he can deal with life’s current problems. And Mary has many of her classic tricks up her sleeve as she takes the children on a magical ride. Although Michael and Jane have experienced Mary’s magic before, as grownups, they can’t bring themselves to believe the children’s tales, no matter how familiar. Why is Mary back, and can she help the Banks family once again? So much beauty with an equal dose of sugary sweetness, Mary Poppins Returns for the most part is a joyous trip to the movies. Blunt is perfectly cast as the new iteration of the character Andrews brought to life. She is fun, light and truly a breath of fresh air for the character. She maintains the essence of everything we want to see out of the classic nanny. Lin-Manuel Miranda is lighting up the screen as Jack, a lamplighter who has always been entranced by Poppins. He shows off his musical chops that carried him from Hamilton to the big screen. And then there are the animated/live-action sequences that are just beautiful to look at. Reminiscent of the original film, they provide a beautiful homage to that effort while continuing the legacy of Poppins’ magical worlds. Something seemed to be missing, though, from making this a truly top-notch film. 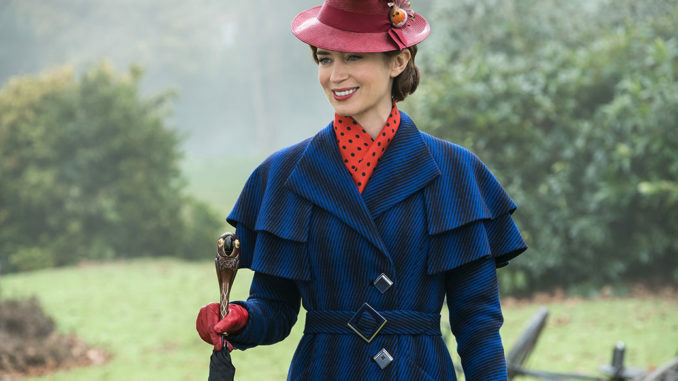 I am not sure how the current generation of kids will connect with Mary Poppins Returns, but the final 10 minutes of the film is all the payoff adults could ask for and will leave a smile permanently frozen on your face. Mary Poppins Returns is available On Demand and on DVD beginning March 19. Check your cable system for availability.